On January 11, Iran announced that it had removed the core of its nuclear reactor at Arak, a major part of the terms it agreed to under an international agreement reached in July. A few days later, representatives of the International Atomic Energy Agency (IAEA) submitted a report stating that Agency inspectors on the ground had verified that Iran had carried out all measures required by the agreement. Although these events were reported in the media, they were top news stories. This is due to the lack of understanding of the importance and value of diplomacy. 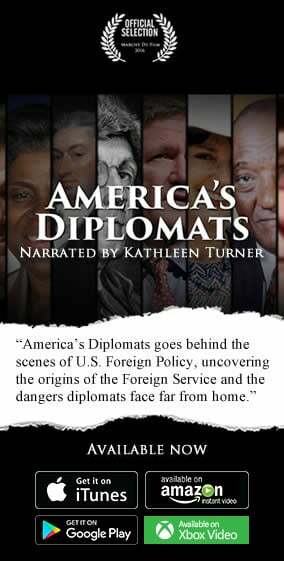 An engrossing and informative new PBS documentary, American Diplomats, produced by the Foreign Policy Association, addresses these and other issues head on. As elaborated on during the program, diplomats have three primary responsibilities: to maintain stability, preserve peace and protect U.S. interests. The documentary weaves these themes together by showing the impact diplomats have had on our nation’s history, foreign policy, and economic interests. Of note, the documentary does not down play the challenges and shortcomings of the profession and the need to keep improving and stay relevant. Benjamin Franklin was our first diplomat and without his success in securing an alliance with France, the U.S. might not have won the revolutionary war. In 1801, President Thomas Jefferson, sent Robert Livingston to New Orleans, then part of territory owned by the French, to see if the U.S. could buy the city. Jefferson wanted to ensure U.S. farmers had access to that port city to export their goods. To Livingston’s surprise the French asked if the U.S. would be interested in buying not just New Orleans but the entire territory. For a cost of $15 million, the U.S. territory overnight expanded as far west as the Rockies and as far north as Canada. The nature of their jobs has also allowed diplomats to play an important role in the formulation of foreign policy. If you asked me what single book on foreign affairs and national security has had the most impact on me, George F. Kennan’s Memoirs 1925 – 1950 would be at the top of the list. As World War II ended, the U.S. expected to maintain a successful working relationship with the Soviet Union. Kennan had been stationed in the Soviet Union during the war and had observed up close the aggressive nature and intentions of Stalin’s foreign policy. 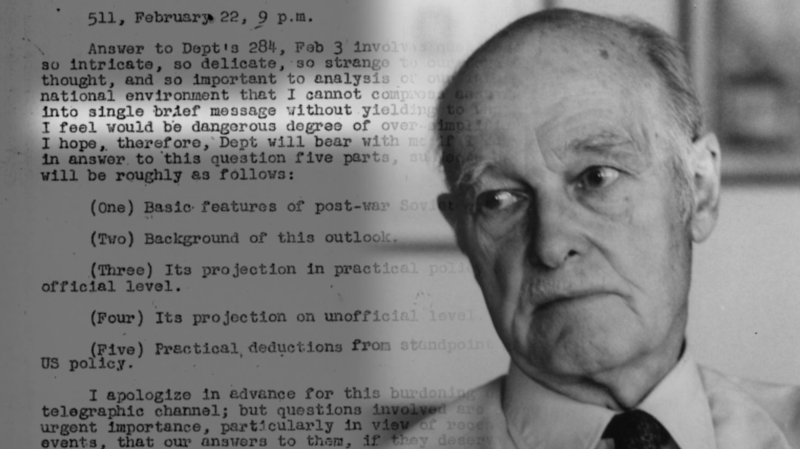 Kennan’s advice was heeded and he is considered the architect of the Cold War strategy. Today’s diplomats are still expected to provide the kind of expert advice on the social, political, religious, and economic issues that helps set the policy course for the nation. This leads to one of the challenges discussed during the program: patronage or the practice of appointing someone to top jobs because of contributions made to political campaigns. Although, there have been some talented and successful political appointees’ many didn’t perform well because they could not speak the local language and were not knowledgeable about the history, political, social, religious, and economics of the countries they’re serving in. Currently about 70% of the top positions in the Foreign Service are held by Foreign Service Officers and 30% by political appointees. Another challenge discussed during the program is that the profession is misunderstood. It is not easy to understand the implications of battles won in the field of diplomacy as the earlier example of Iran’s nuclear program shows. During the program several former State Department officials discussed the need to better advocate and let Americans know what they do. Americans must learn about the risks and sacrifices Foreign Service Officers endure while on the job. Public attention is currently focused on the unfortunate events in Benghazi, but there has been many other instances. In 1998 al-Qaeda blew up our embassies in Kenya and Tanzania, killing over 200 people. In 1983, terrorists crashed a truck bomb into our embassy in Beirut. The blast killed 63 and many others were wounded. Foreign Service Officers do not just have to deal with the risks of being killed by terrorists but also the challenges of living in remote areas where needed medical emergency care for family members might not be available. They also have to deal with frequent moves and family separation. In spite of the sometimes difficult challenges, the majority of Foreign Service Officers remain motivated and dedicated to serving their country. In sum, I found “America’s Diplomats” to be an inspiring story and well worth the time.